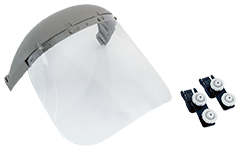 Sellstrom industrial face shield assembly. Model 35000. 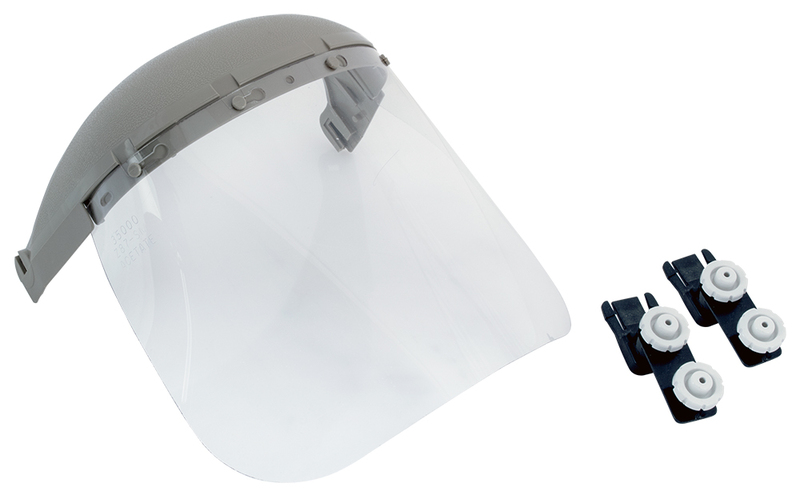 Clear visor and universal slot adapter kit included. Beige crown piece. Shield attaches to hat / helmet with universal adapter. McMaster-Carr Supply Co. Illinois, USA. Military surplus. NSN: 4240-01-263-2277. Jensen tool kit in roto-rugged wheeled case. Weighs 30 lbs. New, unused. (NOTE: See PDF file for complete list of tools). 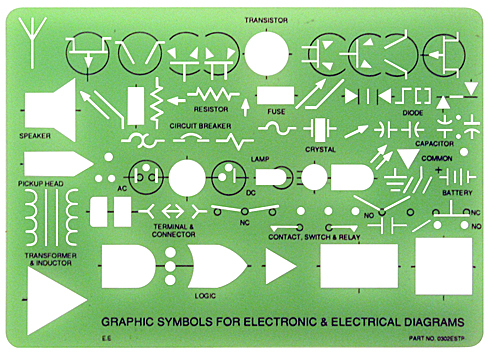 Vintage graphic electronic symbol template. Durable plastic. Waterloo toolbox. Heavy duty steel construction. Lift-out plastic tray with dividers. Comfort grip handle. Lockable. Measures 16" x 7" x 7-1/2" high. Weighs 6 lbs. 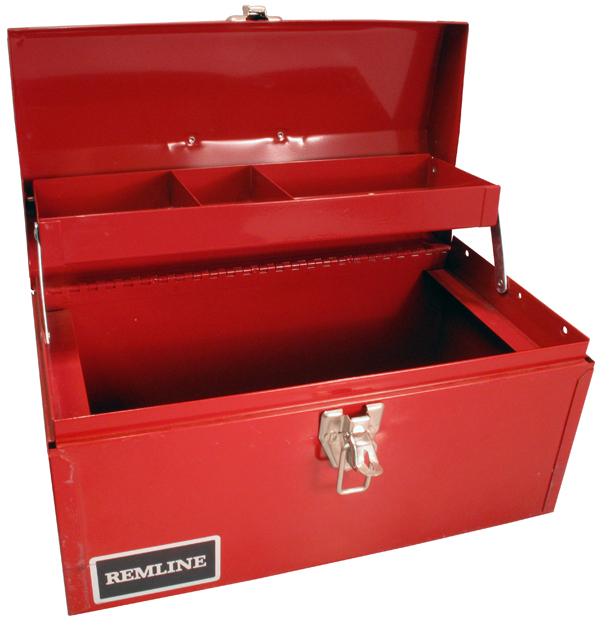 Remline 13" multi-purpose steel toolbox. Cantilever tray. Red, rust resistant steel. 13-1/8" x 7-1/16" front to back x 7-1/4" high. Used, excellent shape. Hartak transiclamp. TO-5 size. Grip tool for installing TO5 size transistors and ICs. CIrca 1970s. Universal pick and pry tool. 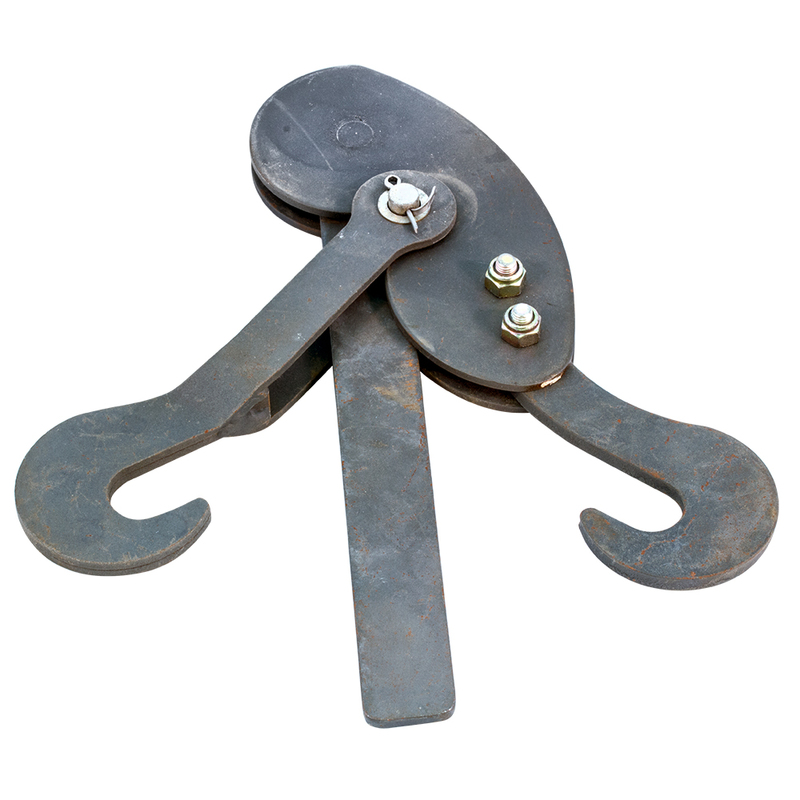 Great for lifting IC's and cleaning circuit board traces. Pick is hardened steel and very sharp. 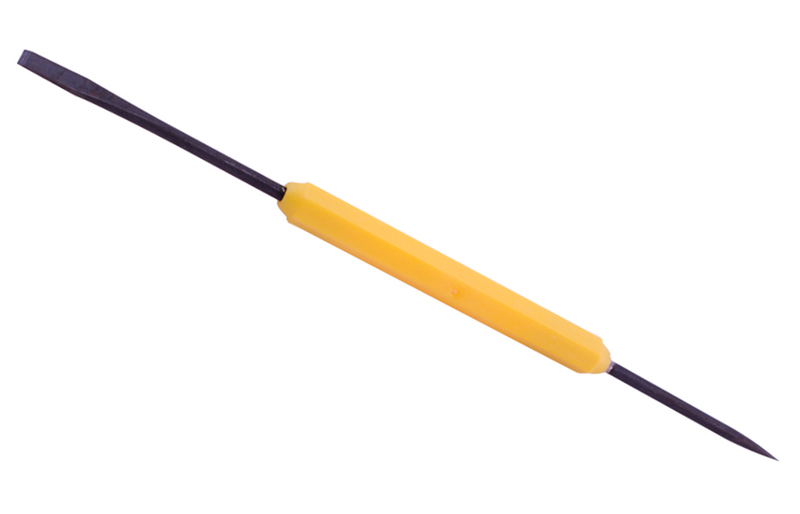 Desco nylon prober, ESD. Blue. 7"L, 1/4"D. Pointed end, flat slot end. 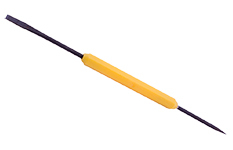 Suitable for use around ESD sensitive components. Made in the USA. Printer's squeegee. For silk screening. 9" long. 2-1/2" wide handle. Lead bender. ESD safe. Component lead former makes for perfect spacing on your board. 0.25 - 1.12" spacing. Approved for E.S.D. Used, excess from Collins Radio. 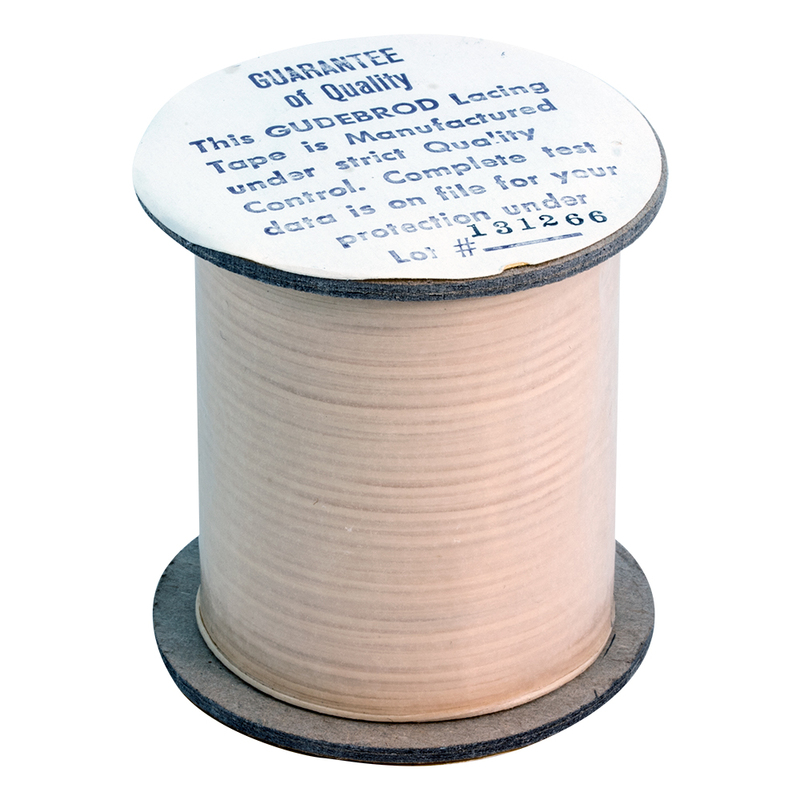 Gudelace lacing tape. Natural. 500 yards. Style 15. Braided nylon, flat woven wax finish. 0.029" - 0.035" thick. 0.001" - 0.009" thick. Alt. P/N: MIL-T-713A. Mactek Inc. load binder. 10,000 lbs. Used for rigging military air drop loads. 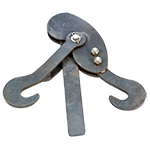 Each binder consists of 2 body plates which attach at one end to a short hook and at the other end to a handle that holds a pivoting long hook. New in package. Circa 1976. Mfg. P/N: MIL-B-43021D. NSN: 3990-00-937-0272. JNJ Industries Smart Roll stencil printing / cleaning fabric. Fits Sanyo printer. 11" wide x 39 feet. 15 rolls per case. Made from Dupont Sontara Cleanmaster stencil cleaning fabric, these rolls improve quality and productivity in PCB printing. Ideal for cleaning stencils with fine pitch apertures. 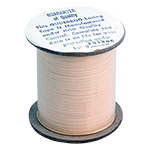 Prevents smearing, bridging, solder balls and other problems associated with the stencil printing of solder paste onto PC boards. Tough, absorbant and resists tearing and shredding. Effectively removes residual solder paste, flux, inks and epoxies with or without solvent. Chemtronics understencil wiping roll. For vacuum understencil wiping systems. For MPM printers. 17-1/2" wide. Core measures: 18"L (457mm), Inner Diameter: 1" (25mm). EFD storage end cap. 30 / 55 cc for RTV. Minimum order on this item is 10 pcs. Crown non-flammable propellent sprā-tool. 13 oz. NOTE: Aerosol cans CANNOT be shipped Internationally. NOTE: Aerosol cans MUST be shipped via UPS Ground. Mixing tube nozzle. "Mix Mach". EFD dispensing tip. Stainless steel. 14 gauge. 1" long. Tip precision SSI for RTV APP.